Halloween means one thing... Lots of naughty treats! So today I have made some chocolate crispy's and chocolate and marshmallow crispy's for my youth groups halloween party tomorrow, but as this is me and I want a nibble too I have substituted ingredients for a gluten free diet! This is a super simple recipe I would have thought you all have done before but just incase here is what I did. 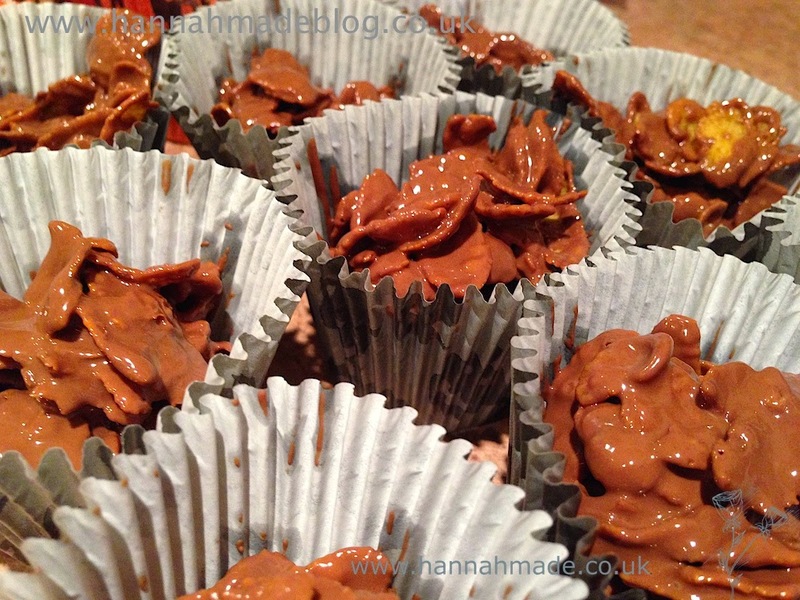 Chocolate crispy's are simple, melt the chocolate throw in the gluten free cornflakes divide into some cute cases and hey presto! 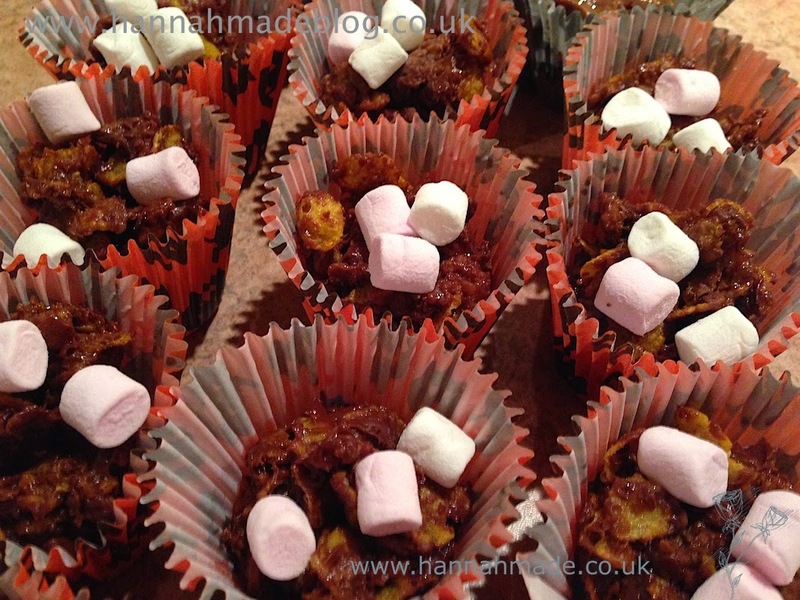 For the marshmallow version add in some marshmallows to melt down with the chocolate then mix in the cornflakes, this will be tricky as there is a very gooey consistency to this mixture, you can always add some water or milk to thin this down. Throw in some whole mini marshmallows and chopped glace cherries or any other treat at this point for a twist to either mixture. 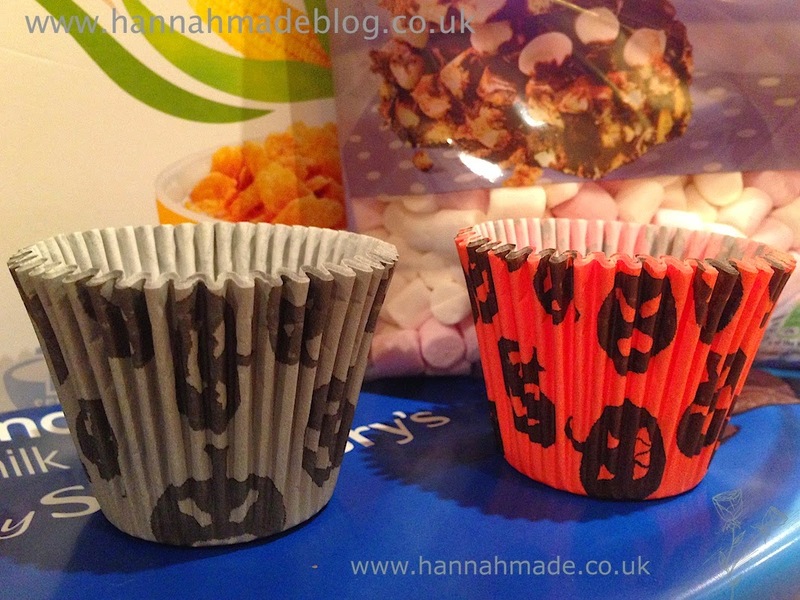 I spooned both mixtures into some cute halloween cupcake cases I found in Ikea for £1 and added some marshmallows on top of the marshmallow mix so those who are vegetarian know not to eat them! Crispy cakes are quick and simple and you can even make these dairy free or vegan by substituting the chocolate for a dairy free alternative as well as any other ingredient which may not fit your diet. Who said dietary requirements have to make life boring! Gluten Free Fish and Chips?!?!?! 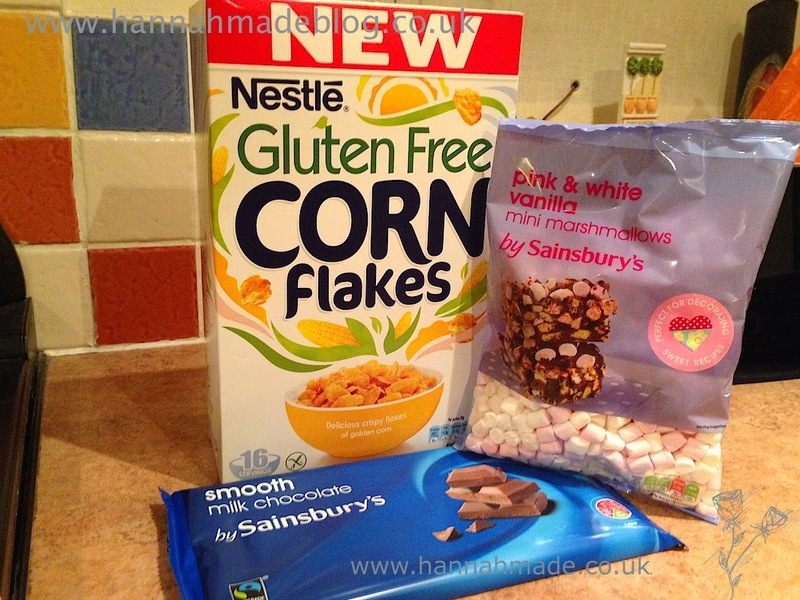 What's In My Desk Draw - Gluten Free Style!